Alcorn State seeks fourth straight division title. Sometimes the name just fits. Lenorris Footman holds the Alcorn State school record for most rushing yards in a game with 274 against Southern in 2015. He only played seven games last year because of injuries but he averaged 54 yards per game with a long run of 83 yards. If by chance you’re new to the SWAC, Footman is Alcorn’s starting quarterback. 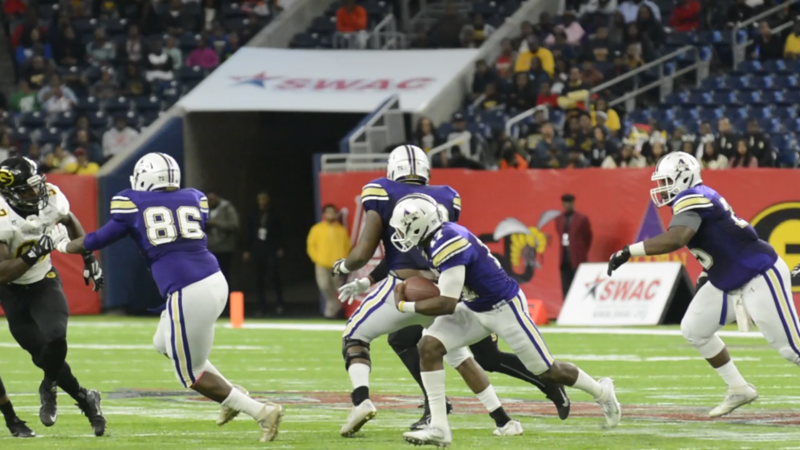 Footman has one final year left to chase the mythical black college football national championship, something that Alcorn came very close to in 2015. Before Footman slides into the Mercedes-Benz Stadium in Atlanta, he knows he’ll have to survive the gauntlet run in the SWAC eastern division. “You always know this. When it’s a division game, the teams they come a little harder. They are more focused. We have to be more focused. No matter who we’re playing we just try and step out there and dominate,” Footman told our Steven J. Gaither at the recent SWAC Media Day. Alcorn State is looking to go to their fourth consecutive SWAC Championship appearance with another division win this year. While no one in the foreseeable future is knocking Steve McNair from the top of the list of greatest Braves quarterbacks ever, Footman now has a place in Alcorn history. While Footman admires the lineage of quarterbacks that came before him in Lorman, his favorite quarterback of all time is his older brother. One of those lessons that little brother picked up was leadership. Something that he works on constantly at Alcorn. His teammates should definitely follow Footman’s lead. He just might lead them to the last ever SWAC Championship and get a shot at redemption in the Celebration Bowl.